We've been so busy trying to get moved in and settled, we haven't been to the beach yet. We remedied that yesterday by purchasing beach chairs and getting in the ocean. 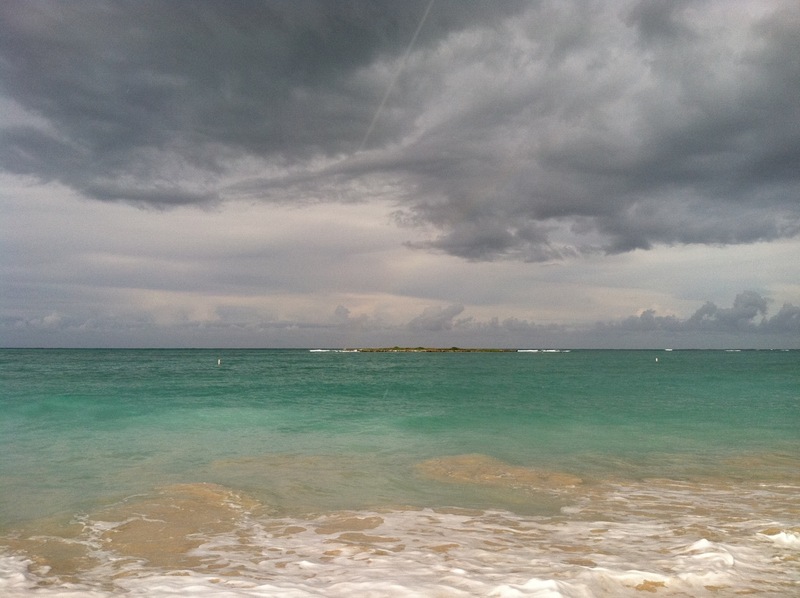 Even on a stormy day, Hawaii is beautiful. If you look hard, there's the start of a rainbow out on the water.